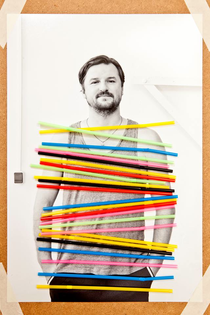 Solomun continues to make a name for himself in dance music circles, largely thanks to his releases, edits and remixes, but also because of Diynamic, the hugely influential label he runs. 2013 sees the hype for him continue to grow where in Ibiza, his Solomun + 1 night at Pacha Ibiza finds him headlining with one hand picked guest playing alongside him. Âme, Dennis Ferrer, Miss Kittin, DJ Hell, Nicky Curly, Tiefschwarz, Tensnake, and Marek Hemmann are all lined up as guests of Solomun+1. His other Ibiza party, Neon Nights, is at Sankeys from July 9th each week and will have the likes of H.O.S.H, David August, Stimming, Kollektiv Turmstrasse, UNER, Adriatique, Hunter/Game, NTFO, DJ Phono, Karmon, Ost & Kjex and Thyladomid all playing this summer.